In this lesson series, you will learn to play the guitar. Whether you have never picked up a guitar or you know a few chords and songs, this course will take you from having never held a guitar to play full songs. We will focus on basic guitar setup and knowledge, learning chords, rhythm and strumming, timing, and finally full songs. So many courses focus on music theory and learning things like scales. 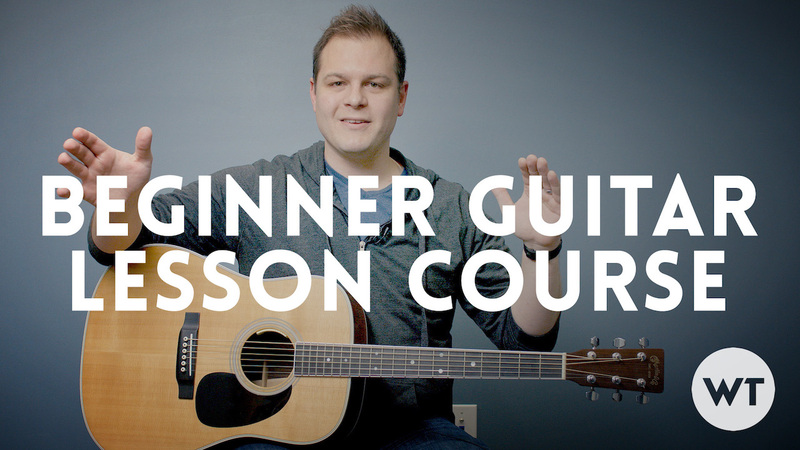 Those things are great to know (and as you learn guitar, you should definitely learn them), but in this course we will focus on playing songs, which is probably why you’re trying to learn in the first place. All lessons are video lessons.